The Snooze Button Generation 2019: Chief Wahoo has always been cursed! Chief Wahoo has always been cursed! Maybe Chief Wahoo has always been cursed! It's interesting in my lifetime that I have changed my feelings and view of Chief Wahoo. The fact that I feel that way signals some sort of progress. Back in 1995, I was a grad student at NYU, and I was approached to write an op-ed article defending Wahoo. 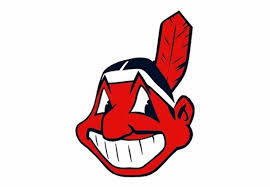 I went with a tongue-in-chief thesis: "Wahoo should stay because Cleveland sports fans have gone through more pain than Native Americans." Years later, I have readjusted my stance. Wahoo must go! ... But the good news is that the Cleveland Indians franchise also believes that fact, as do many fans, and Wahoo is being fazed out. 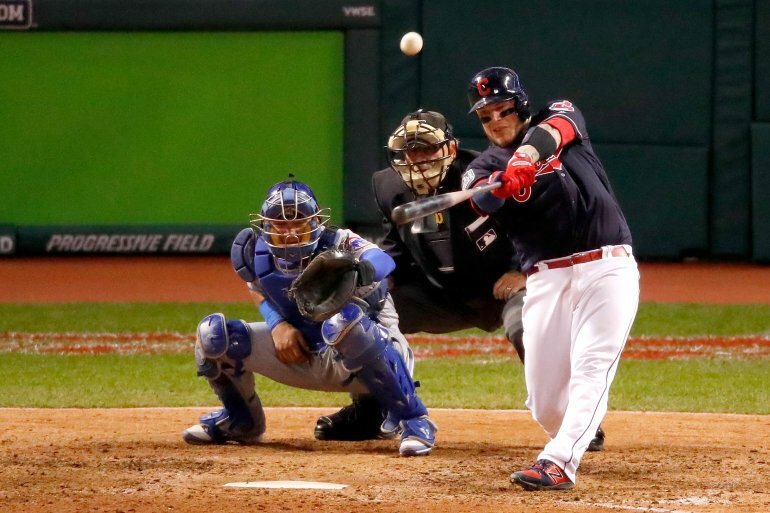 It also is the first time the Tribe has led 1-0 in a World Series since 1920, when the Indians beat the Brooklyn Robins 5-2 to win the World Series. That is no mistake! Back in 1920, the World Series was a 9-game series. Man, history is crazy. In that same year, women got the right to vote! Wahoo, or the lack of Wahoo, may be the factor that will give the Tribe its first World Series since 1948. The reason I say this is that the red-skinned Chief Wahoo did not come into existence until 1951 — after the Indians actually won the World Series. From the beginning of the franchise in 1915 until 1947, no Native American-type of image was connected to the franchise. And while this mascot was in effect, the Tribe won Series in '48, so in a way, all was good back then. But beware of 1951! That is when the red-skinned Wahoo we all know took charge. During the red-skinned Wahoo's reign, the Tribe has won zero World Series, and heartache lasted almost all of the 1960s, 1970s and 1980s. In 2013, the Tribe organization took a stand and made Chief Wahoo the secondary logo of the team. Excellent move! We're fazing out Wahoo! It would be too drastic simply to cut off the chief. Ohioans might go ape with such a drastic move. All has been moving in the right direction. But that is why I am shocked to still see Wahoo on the hats of the Tribe during the 2016 playoffs. Why not just the letter C? Look. All I'm saying is this: The Cleveland Indians have won zero series with red-skinned Chief Wahoo as the primary mascot from 1951-2013. Now, it's looking like a way better chance since that 62-year stretch. Coincidence? So good for this post , I like so much , Thanks you . . .